An acquaintance of mine, a man my age,is in critical condition in the hospital with complications of an operation. It is unlikely that he will live. He is a good Protestant and we have discussed Christ and the times in which we live. He did not expect, when he went in to the hospital, to be facing death. Please pray the Divine Mercy Chaplet for him. Just use the phrase, "STM's person in hospital" as I do not want to share names. Now, the salutary lesson is this. This person spent a great deal of time, energy and money chasing prophecies of the end times. He went to conferences and bought books on this subject, spent time on YouTube watching videos of his favorite Protestants who preach. He did not pursue an interior disposition of quietude or contemplation. Now, in the land of the dying, he will see what is the one thing necessary for life--the pursuit of Christ in our daily lives, in us--and, like Catholics who pursue apparitions, that such knowledge does not save us. Knowledge of things to come can be prophecies to make our daily prayer life more intense and urgent. But, none of us become holy by knowing the latest prophecy or the latest apparitions. None of us become holy following messages from Mary from unapproved visions, or worse, from condemned visionaries. I know too many good people, who follow the Ten Commandments, but do not go "higher up and higher in." It we are not orthodox, we have a very small chance of salvation. One starts with the basics, believing in the Trinity, the Eucharist, and so on. Maybe if he had gone into Scripture more deeply instead of pursuing end-time prophecies and puzzles, he would have become a Catholic and received Christ in the Eucharist. God has called us all to become holy, to become perfect, in order to build the Church on earth and to be one with Him. Only the perfect see God which means most good people if they are saved, go to purgatory, a terrible place of punishment, loss, pain, regret and mortification. Heaven is not assured to all, but to those who love God with their whole heart, soul, mind, body...There are not many ways to God, only one way. Pray for my Protestant acquaintance. Long ago in the perfection series, and in the posts on St. Bernard, I referred to the sin of accidie. Here is the long definition. It is not what people think it is, simple sloth. It is becoming distracted with useless things so that we are taken away from prayer, meditation and contemplation. Discussing this with a seminarian today, I was struck with the idea that the noon-day devil is not merely low-blood sugar or high-blood sugar before or after lunch, but a demon who distracts us from times of prayer we even schedule. St. Philip Neri preached that the afternoon in Rome was "the dangerous part of the day", when youth fell into mortal sins of fornication and even gang fighting. ακηδία sets in. Looking at Psalm 90, one has to reckon with the pleasures of falling into sin and fight these. The noon-day devil is not poetry, but a real demon. 90 The praise of a canticle for David. He that dwelleth in the aid of the most High, shall abide under the protection of the God of Jacob. 2 He shall say to the Lord: Thou art my protector, and my refuge: my God, in him will I trust. 3 For he hath delivered me from the snare of the hunters: and from the sharp word. 4 He will overshadow thee with his shoulders: and under his wings thou shalt trust. 5 His truth shall compass thee with a shield: thou shalt not be afraid of the terror of the night. 6 Of the arrow that flieth in the day, of the business that walketh about in the dark: of invasion, or of the noonday devil. 7 A thousand shall fall at thy side, and ten thousand at thy right hand: but it shall not come nigh thee. 8 But thou shalt consider with thy eyes: and shalt see the reward of the wicked. 9 Because thou, O Lord, art my hope: thou hast made the most High thy refuge. 10 There shall no evil come to thee: nor shall the scourge come near thy dwelling. 11 For he hath given his angels charge over thee; to keep thee in all thy ways. 12 In their hands they shall bear thee up: lest thou dash thy foot against a stone. 13 Thou shalt walk upon the asp and the basilisk: and thou shalt trample under foot the lion and the dragon. 14 Because he hoped in me I will deliver him: I will protect him because he hath known my name. 15 He shall cry to me, and I will hear him: I am with him in tribulation, I will deliver him, and I will glorify him. 16 I will fill him with length of days; and I will shew him my salvation. Here is the definition from Ortho-Wiki. Akedia (in Latin, accidie) is literally fatigue or exhaustion, but in technical usage refers to the spiritual and physical lethargy which can plague those pursuing the eremetic life. The reference in Psalm 90 (91 MT) to the "demon of noonday" is traditionally identified as akedia. It can take the form of listlessness, dispersion of thoughts, or being inattentively immersed in useless activity. 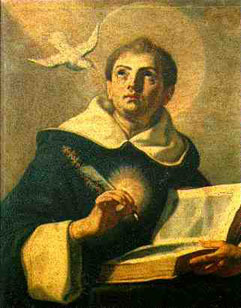 St.Thomas Aquinas calls it world-weariness, which causes a person to neglect both their physical and spiritual duties. This habit of thinking and feeling is a hard sinful habit to break, but one must do so. One way to break the habit of negative and depressive thoughts it to constantly praise God all day. The Office of the Hours is a perfect way to break this habit. Also, the Chaplet of Divine Mercy, to be said at 3:00, is another way to break accidie. Listlessness can also be expressed in restlessness, like someone feeling like they "just have to get out" and go shopping. Accidie may be seen in the need to watch television as well. One breaks a habit of vice by practicing the opposite virtue. God will allow temptation for us to undo sins in our lives and break habits of sin. A priest told me this and it is a simple and good truth. The body adjusts itself to the operations of the soul, and chemically a body readjusts to new stimuli of turning against the sin. We actually have to turn away from sin physically, emotionally, and spiritually. As humans, we are body and soul, so we are tempted in both for most sins. There are triggers and to break habits of giving in to triggers, God gives us temptations to make "our inner person strong". We can be addicted to certain sins, even thinking negative thoughts. God can change this is we allow Him to enter into the memory, understanding and will. Demons affect the cogitative powers. When we decide or judge on something, we create a habit if we keep doing something...this is what St. Thomas calls the "intellective memory" in the positive intellect. This process works on those powers in the inward man, referred to in St. Paul's epistle as being made strong in grace. The sensitive memory is in the imagination. Thank God for priests who have studied Thomas Aquinas. They are few and far between. Pope Francis has called upon consecrated religious to "wake up the world" by living their special calling to be prophets of joy. The vocation to radical discipleship will be the focus of the 2015 IRL National Meeting. We are pleased that Raymond Cardinal Burke has graciously accepted our invitation to give the keynote address on Friday, April 10, 2015. His Eminence will speak on "Martyrdom for the Faith Today". At the National Meeting's Saturday banquet dinner, Mother Agnes Mary Donovan, S.V., founding member and superior general of the Sisters of Life, is to receive the 2015 Pro Fidelitate et VirtuteAward. We wish to recognize Mother's deep commitment to the consecrated life and her bold witness to the Gospel of Life and building up the Civilization of Love. We are also delighted to announce that Most Rev. Blase Cupich, Archbishop of Chicago, will be the principal celebrant of the closing Mass on the morning of Sunday, April 12. Mother Agnes Mary Donovan, S.V., and Rev. Norbert Wood, O.Praem., will speak at the Special Session, Friday morning, April 10, exclusively for priests, religious and other consecrated persons. The main reason why Aquinas is so important to us even today, is that Aquinas demonstrates the reasonableness of faith. Both reason and faith are gifts. And through these gifts, all man can find freedom from sin and eternal death. One of my favorite phrases is this one below, "..faith builds upon and perfects reason." One can say the opposite, that if that reason is not perfected, it is because one's faith is faulty, incomplete. Aquinas "reconciled" the secularity of the world, specifically the world of philosophy and the radical Gospel. Wisdom is the gift of the Holy Spirit. This gift, which is given in to Catholics in Confirmation, opens the door to more and more knowledge, as well as piety. Prudence, temperance, justice and courage flow from the soul of wisdom. But, as noted below, wisdom is also acquired, and thus, is missing in so many prelates. This other wisdom comes from study and reflection, as well as meditation and contemplation. Other "wisdoms" follow-philosophical wisdom coming out of Reality, and theological wisdom, coming from Revelation and earned through grace and work. So many of our leaders in the Church lack these "wisdoms". To ignore the intellectual virtues is to stop the process of purgation and perfection. A Catholic adult must pursue the intellectual virtues. (See my posts on the virtues). Too many Catholics stay in the realm of the emotions, and never earn merit or grow in holiness.